When president Koroma took office in 2007, there was little doubt the country was in dire straits: the economy, health, education, infrastructure, and industry, were all in desperate need of reform. In particular, the economy, though growing by an encouraging 4.5% annually – since the end of the war in 2001, was not creating the increased wealth needed to uplift the more than 70% of Sierra Leoneans classed as poor, from abject poverty. The previous SLPP government started the painful process of structural reforms. 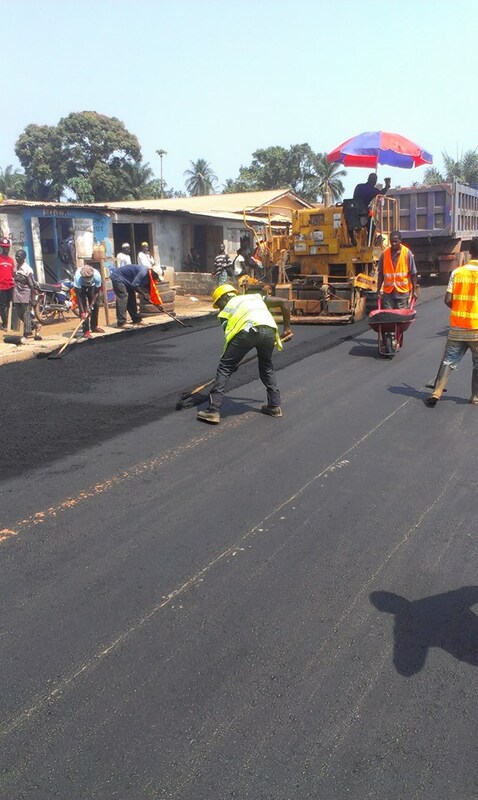 They negotiated hundreds of millions of dollars in loans and grants to kick start the development of the country’s road networks, which president Koroma has now embraced as his flagship infrastructural development programme. Former president Kabba had also succeeded in negotiating a small portfolio of foreign investments, involving the likes of African Minerals and London Mining Ltd., to help rehabilitate the country’s ailing mining industry. Since then, the economy has continued to be driven largely by a handful of mining companies and the taxes they pay to the government, with GDP running at 13% last year – more than twice the continent’s average. But sadly, the legacy remains the same: 70% of Sierra Leoneans continue to be classed as very poor. So after six years in power, and three years of structural reforms, why is Sierra Leone still stuck in a rot? Koroma’s ‘special relationship’ with the former British Prime Minister – Tony Blair, has given some focus and investment boost to the agricultural sector. For the first time, mechanised farming and the growing of crops for industrial use has been prioritised. But this has come at a very high price, as the vexing issue of land grab and corruption keeps rearing its ugly head, in various independent reports. Foreign companies such as Addax and other biofuels processors are now in the country growing sugar cane for ethanol production, with Addax commencing processing of ethanol from sugar cane next week. But job outputs from biofuels processing is expected to make very little impact on the country’s army of unemployed, which now stands at over 2.5 million, against a population of 5 million. Addax currently employs about 2,000 people, and plans to increase this by another 2,000 jobs later this year, bringing the total number of Sierra Leoneans employed by the firm to 4,000. The company is located in the Bombali District – the political heartland and birthplace of the president, whom many believe is a major shareholder in the company. 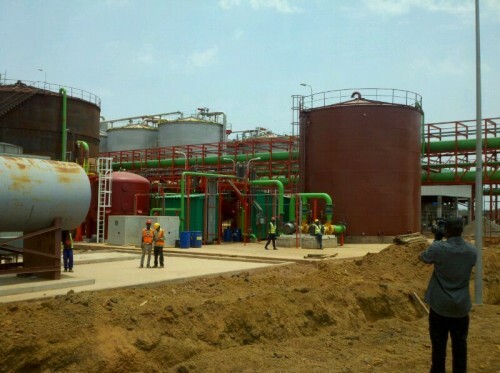 Addax is growing about 10,000 hectares (ha) of sugarcane in Bombali, and is planning to process about 85,000 cubic meters of ethanol per annum. The company says that when fully operational, it will be generating approximately 100,000 MWh of renewable power – dwarfing the 30MW that is currently produced by the government in meeting the needs of the whole country, which ironically is estimated at about 100,000MW. But the electricity to be produced by Addax, will not come from the precious ethanol it will distill from the 10,00 hectares of sugarcane meant for export. It will come from a new biomass plant, which will burn and convert the sugarcane fibre residue into energy. Addax says that it will be supplying 15MW of the electricity it generates from biomass, into the country’s national grid. But who is going to make up the massive shortfall? “There is such big expectation from us that we really have to try and satisfy all those expectations, and I am sure people in Freetown and the rest of the country are looking forward to getting some additional power from us,” says the General Manager of Addax – John Moult. 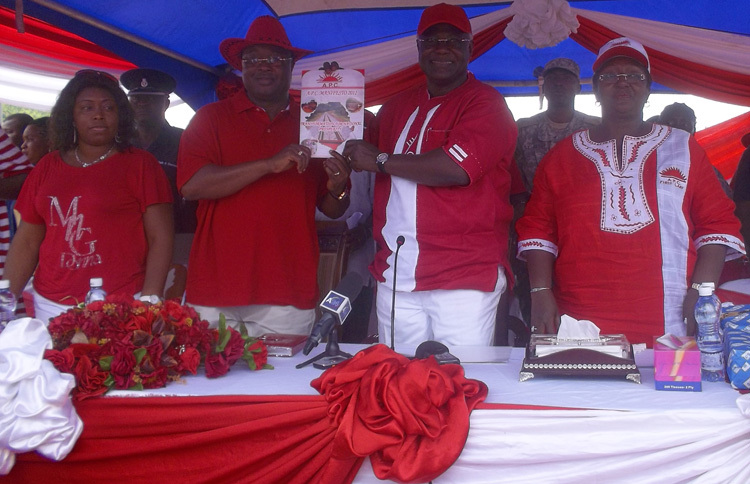 Other sectors of the economy too, have been prioritised by the Koroma government since 2007. The Bumbuna hydro project, telecommunications and road construction in particular, have seen massive investments of more than $600 million dollars in the last seven years. But critics say that there is very little economic progress to be seen in the country today, with the exception of a few refurbished and newly constructed road networks, that are yet to start regenerating local economic development activity. 2011 was a landmark year for the Koroma presidency, after staging a high profile global conference in London – with the assistance of Tony Blair, aimed at wooing foreign investors. But it seems that Addax and a handful of other foreign companies, are now pinning their hopes on whatever tax concessions and land deals they can get from the president. Despite declaring 2011 as “the year of implementation”, president Koroma has struggled to justify his government’s six years in power, as several corrupt and poor performing ministers and senior officials responsible for infrastructural programme implementation, have been sacked in recent months by Koroma. Prompted by the lack of progress in delivering key government programmes, the former World Bank Country Manager for Sierra Leone – Vijay Pillai published this report in 2012 – ‘Recent reforms in Sierra Leone: Beating the effects of global economic downturn’. 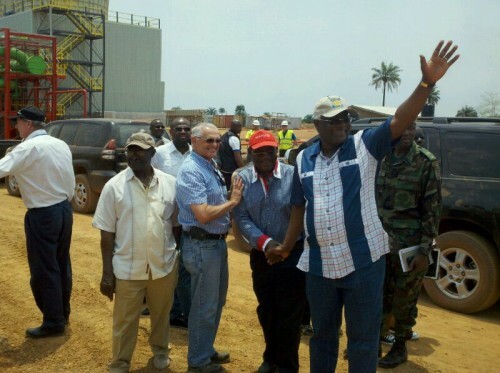 The year 2011 ended on a high note for the reformers in Sierra Leone. There were two significant reforms which the government saw through; reforms that had been long overdue, but which now hold the potential of unleashing new investments and economic growth in the country. Can Sierra Leone’s use these reforms to beat the potential effects of a global economic downturn? One hopes so. Since the completion of the dam, Freetown has been benefitting from its power, albeit at reduced levels. Still, the energy sector suffers from years of neglect and governance challenges. With astonishingly high levels of technical and commercial losses (estimated to be nearly 50%), new investments in the energy sector are unlikely to deliver returns unless this haemorrhage is stopped. So in December 2011, the government got the Parliamentary nod for two significant laws to strengthen the regulatory environment and improve the performance of the utility – setting up of an independent regulator and unbundling the electricity sector. There is still a long way to go before the country can fully benefit from its abundant hydropower potential, but implementing the new laws is clearly on the critical path. Another sector with significant growth potential across Africa is the telecommunication and ICT sector. Sierra Leone too has seen some exciting developments with the recent arrival of the submarine cable. But the existing monopoly for the international telecom gateway has been constraining the sector from realizing its full growth potential. The total outgoing telecom traffic only grew by 55% during 2006-08, while some other countries in the sub-region saw 200% growth during the same period. There is also the problem of a large share of traffic diverted through illegal operators, because of the monopoly, leading to a loss of revenues for the country. And the net loser is the average person on the street, who spends $0.22 a minute for an international call – two to three times what their counterparts in other African countries pay. The government has now publicly announced a firm timetable for revoking the monopoly of the gateway later this year (2012) – which would allow other operators to manage gateways in the future, and undertaking revisions to the existing telecommunication law to increase competition in the sector. Both these reforms have no doubt been tough, but they could unleash a lot of economic activity and jobs. Coming on the back of Sierra Leone’s recent impressive performance in the Doing Business scores, they suddenly make both these sectors look that much more attractive to investors and entrepreneurs. No doubt, the enormous spin-offs from a vibrant energy and telecom sector would only benefit the people of the country in the coming years. There is still a lot of work to be done in implementing these reforms, which would require resoluteness. So, has president Koroma shown any sign of resoluteness and strong leadership, since coming to office in 2007? Very few in Sierra Leone believe he has.